Rev up your workout regime and take the opportunity to fall in love with new fitness styles and/or studios all while enjoying the great outdoors with River Prairie Workouts. River Prairie Workouts, hosted by kimbentley, is a weekly fitness class that runs through Aug. 21. 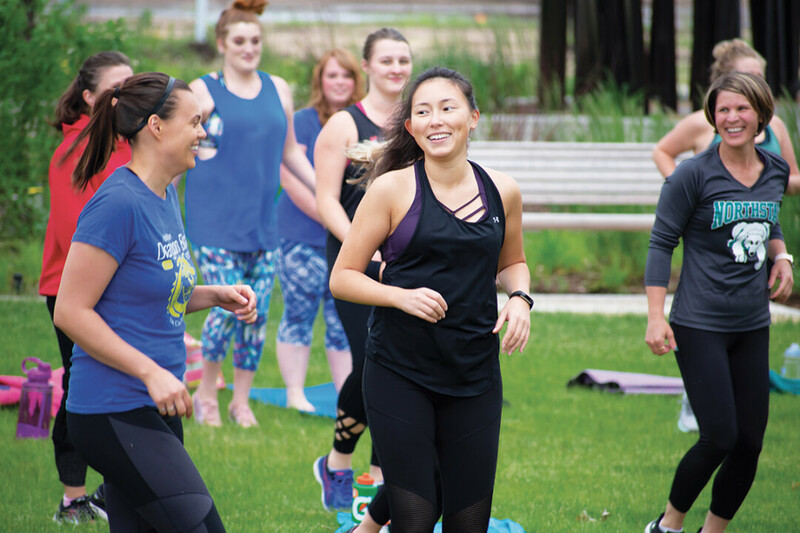 Each Tuesday from 6:15-7:15pm, Chippewa Valley fitness studios and trainers conduct hour-long outdoor fitness classes at River Prairie Park in Altoona, near the arches that are next to the River Prairie Center. The featured fitness studios and trainers change weekly, giving participants the opportunity to try a workout style they may not have otherwise explored. Fitness studios yet to come include Ignite by FitELITE (July 10), Eau Claire YMCA (July 17), Momentum Fitness (July 24), Savage Fitness (July 31), and Altoona Parks and Recreation (Aug. 21). Some studios haven’t been announced yet, so keep an eye out for the complete schedule. New events and each week’s River Prairie Workout will be posted on host kimbentley’s Facebook page. Rain cancellations will also be posted on her page by 5:30pm on the day of the scheduled class. It’s recommended to arrive early to sign up and find a spot on the lawn. It’s also recommended to bring a mat or towel, a water bottle, a smile, and some friends!